Purple Storm Climbing Rope Dog Leash. Handmade in USA using the best 11mm climbing rope. Perfect for the Big Dogs. Built strong with Marine grade 316 stainless steel clips not those light weight chrome plated clips. Welded O ring on the handle for what ever you need to carry on your dog walk, and customized aluminium rope connections for a strong, and reliable leash. Perfect for your medium to extra large dogs. Our Purple Storm Climbing Rope Dog Leash is handmade to order using quality parts manufactured here in the United States. This particular leash will require some break in time. It’s a bit stiffer than some of our other leashes becoming more pliable over time. Available in different lengths, 4ft being the most popular, and 6ft being ideal for obedience training. 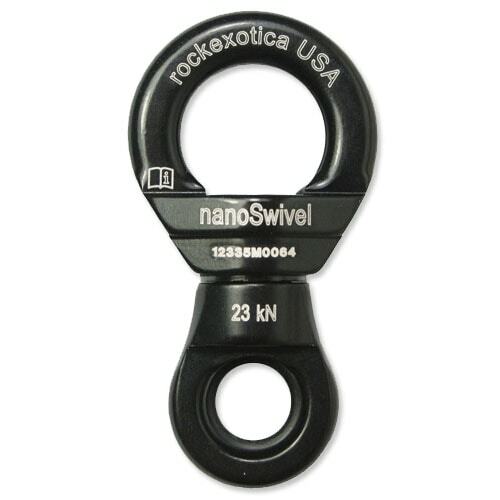 We like this leash best with the stainless steel clip or nanoSwivel & carabiner combination. A carabiner only option is available. Keep in mind that carabiners by themselves don’t swivel. If your awesome dog is one that bounces all over the place we suggest the stainless steel clip or the nanoSwivel & carabiner option to avoid a tangled leash. Generally shorter leashes give more control, and preferred for most training, and walking your dog. We like these best with a stainless steel clip. However, some of you have large dogs that tend to take you for a walk. For these large dogs we prefer at least a carabiner or the ultimate dog leash. Checkout our Ultimate Dog Leash for those really big dogs. Perfect for backcountry hikes, and camping when you need a strong versatile leash for the rugged outdoors. For those large to extra large dogs, our Ultimate Dog Leash option may be ideal for you and your dog. Select the nanoSwivel & Carabiner option in the menus below. Help us help support no kill dog shelters. Did you know that your purchase of any of our custom climbing rope dog leashes helps support no kill dog shelters? Thank you, it does! Our first custom dog leashes were inspired by our rescue dogs, and the desire to have a better than average leash. Overtime we realized that we were not alone in our desire for a quality made dog leash. A leash that was originally built for our own rescue dogs has turned into a small business making thousands of handmade leashes that sell world wide. Thanks so much to all our customers, and those with the same desire to provide their dogs with a better than average dog leash. 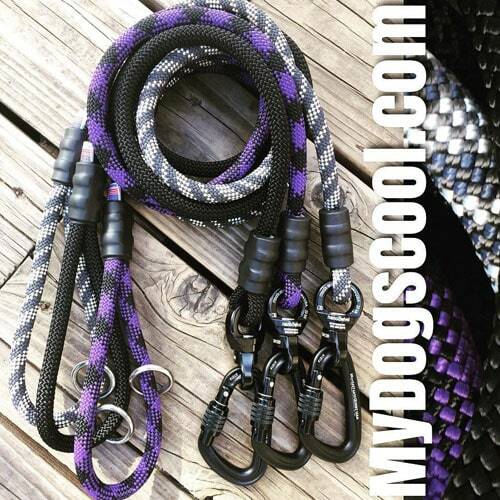 Our Purple Storm Climbing Rope Dog Leash is a great choice for the right dog, and an excellent way for you to help us help support local no kill shelters. If you have questions feel free to Contact Us. We answer email promptly, and certainly before the end of the day. 4ft Walking Leash built with 11mm Climbing Rope and Stainless Steel Clip.